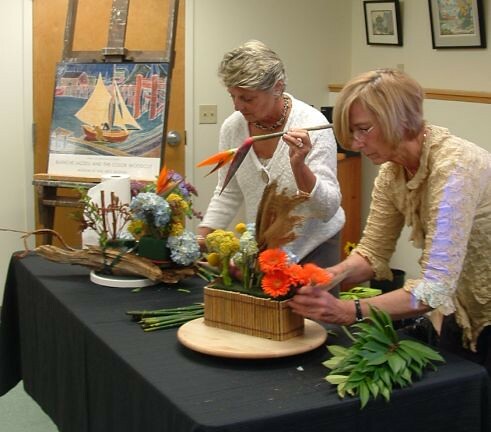 On May 5th, the library and the Bearcamp Valley Garden Club sponsored a program about the Museum of Fine Arts’ annual Art in Bloom exhibition Two expert flower arrangers presented a slide show of selected “Art in Bloom” arrangements exhibited at the Museum of Fine Arts in Boston. The slide show was followed by a demonstration. The two arrangers interpreted a wood block print by Provincetown artist, Blanche Lazzell. 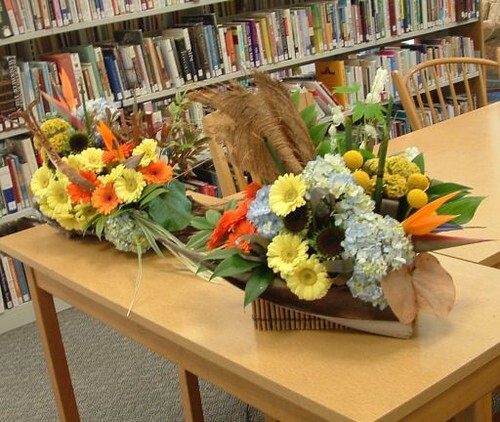 I purchased their book, Art in Bloom at Home, for the library collection.